"The Spaniards had left a legacy of seaside Watchtowers in our country and one of the many Watchtowers in the Ilocos Region is this brick-laid at Barangay Sulvec"
After coming from the watchtower at Sabangan, Santiago, Ilocos Sur, i rode a passenger van bound for Vigan City (10:01 am) to get me to my second destination of the day which is the Sulvec Watchtower. We passed by the towns of San Esteban (I went back here for another watchtower later that day) and Santa Maria. After which we passed by Narvacan town proper, along the way at Barangay Sulvec, I happened to glimpsed at the tower by the seaside. I went down from the van (10:40 am) and went to the place were i saw the tower. The watchtower is inside a gated residential lot. Beside the gate is a sari-sari store named "Sabalburo Store". I looked through the slots of the wood plank steel framed gate and saw a young lady doing his laundry on a washing machine. I called her attention and introduced myself and stated my intentions. She was hesitant at first but finally she let me in after some few convincing. I even showed my previous sketches of the other watchtower to convince her. She added that the place is privately owned and that his grandfather is the owner the "Canosa" Family. 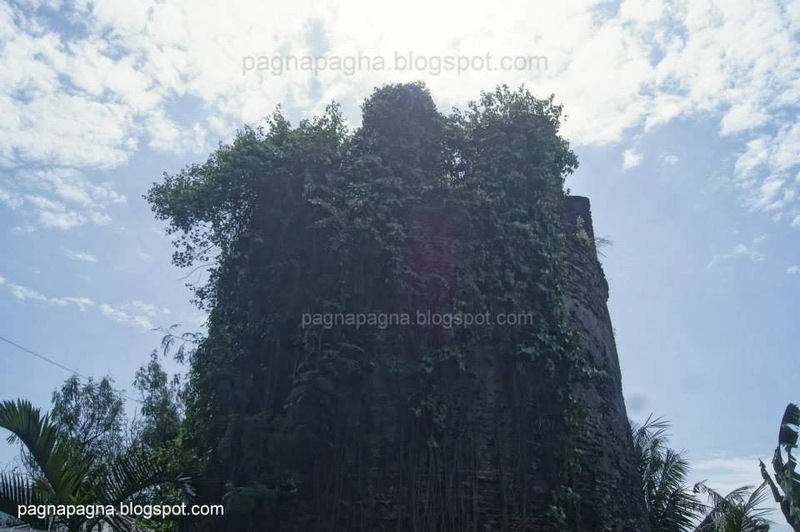 After i took some photographs, videos and did a sketch of the watchtower, I thanked her, said goodbye and went back at the road. At the roadside (11:45 am), i waited for a mini-bus to take me at my last destination of the day which is the Watchtower of Bateria. 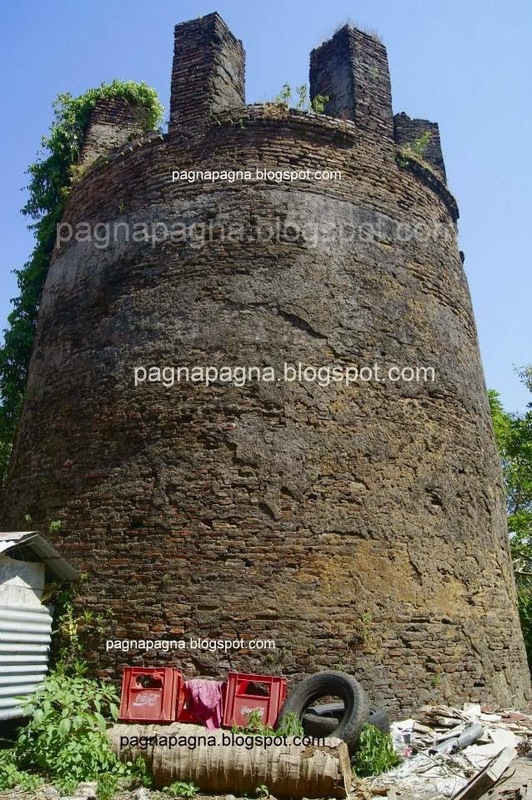 Located at a gated lot beside some residential houses, this rotund watchtower is mainly made up of laid bricks and stands taller than the Sabangan and Bateria Watchtowers. Its battlements are made up of the simple erect rectangular shaped merlons (the one on the top of its wall) which is somewhat similar with that of Darigayos Watchtower. From Manila take a bus bound for any of these Nortwest Luzon places : Laoag City (Ilocos Norte), and Vigan City (Ilocos Sur). Passing by the town proper of Narvacan and the intersection going to Abra, you have to get down at Sulvec, Narvacan, Ilocos Sur. Particularly get down at a store named “Sabalburo Store”. It is near a certain gas station named “Rotsen Fuel” which is some few meters away before the usual bus stop area of buses located at Sulvec Point (Where a Grotto was placed on top of a rock at sea). The Watchtower is located inside a fenced residential lot. It is owned privately.